*Price for Heathrow hotels for 23 Jun, 2019, valid as of 24 Apr, 2019. We work together with other market leaders to achieve the very best deals on airport hotels with parking. Our leading prices on airport parking combine with the best-value airport hotels so you can enjoy a better start to your holiday for less money. So don't battle motorway traffic with heavy eyelids on the morning of your flight, but instead enjoy a couple more hours in a comfy bed before putting away a delicious, cooked breakfast knowing you are just a stone throw away from check-in. Some airport hotels offer parking on-site in their own car park for the duration of your trip which can be a nice, convenient option. 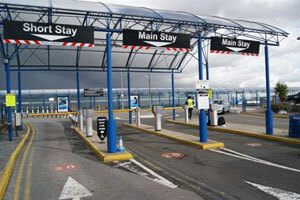 Most of our hotels, however, can also be booked with a professional airport parking provider so you don't have to worry about transfers to and from the airport - this is always included in the cost of the parking and transfers usually run more frequently from these car parks than they do from the hotels. Take a look at the options at each hotel to find out which might be best for you. If you're feeling frugal and you like a bit of mystery, we strongly recommend choosing an 'Undercover' hotels deal. The identity of the hotel is withheld until after you book. They are always one of the 3 or 4 star hotels from the normal line-up but you will receive a special reduced rate. These cheap 'Undercover' airport hotel rates are made possible because it enables us to allocate bookings dependent on availability, so it's a win-win situation! Take a look below for the hotels available near the airport you are flying from, or just click on 'Book Online' at the top of this page to start comparing prices and room availability. Prices from £39.51 per room. There are options aplenty when looking for Birmingham Airport hotels, with a choice of 2, 3 and 4 star options to suit every budget. There are 4 hotels located within the airport grounds, of which the Ibis and Novotel are both within walking distance of the terminals. There are also 9 hotels located very near to the airport, no further than 15 minutes from check-in. Prices from £42.00 per room. You are not short of options for hotels at Gatwick Airport. We have a selection of luxury and budget hotels, 4 on-site and 28 very close by. If you are looking for the best in convenience, the Gatwick Hilton is connected to the South Terminal, and the Gatwick Sofitel is connected to the North Terminal. If you looking for a steal, then staying off-airport is usually the cheapest option; the Gatwick Russ Hill, for example, is brilliant value and really will help you conserve your pennies. Prices from £29.00 per room. With 29 off-airport Heathrow hotels and 2 on-airport hotels to choose between, you can be certain to find something to suit your every need. The Heathrow Hilton is connected to terminal 4 and the Heathrow Sofitel is connected to terminal 5, making them the very pinnacle of convenience. While often the cheapest option is to stay off-site at a nearby hotel like the Comfort hotel which is about 15 minutes from the terminals. Take a look at the different options to decide which hotel is best suited to you. Prices from £44.10 per room. Whether it's proximity or budget you're looking for, we have the hotel for you at Luton Airport. There are 10 hotels to choose from nearby; 3 of them are actually within the airport perimeter. The most popular of these being the Luton Holiday Inn Express as it's the closest hotel to the terminal, and you can enjoy a free breakfast in the morning too. The other hotels are ideally located between 2 and 13 miles away from the terminal, so you can make a brief 'stroll' to check-in after you've spent a couple more hours in bed. Prices from £39.00 per room. 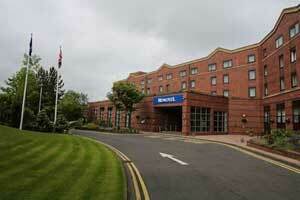 With 21 hotels to choose from at Manchester Airport, you are spoilt for choice. If you are looking for budget why not try the Premier Inn? It's located off-airport so you can get a peaceful rest, but can still make a speedy-dash to the terminal within minutes. If proximity is high on your agenda then you could stay at the luxurious Radisson Blu at Manchester Airport which is conveniently connected to all three terminals. Prices from £59.00 per room. 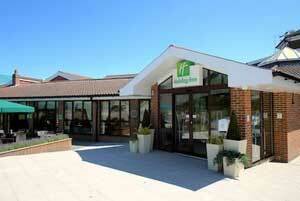 We have a choice of 2, 3 and 4 star hotels at Stansted Airport, so there is something to suit every budget. Staying off airport is usually the cheapest option and you will be no further than 8.2 miles from the airport. If you want to indulge in some luxury then you could stay at the Stansted Radisson Blu, which is connected to the terminals and boasts an impressive wine tower. Take a look and compare our range of Stansted hotels with parking to see which is right for you. Prices from £45.00 per room. 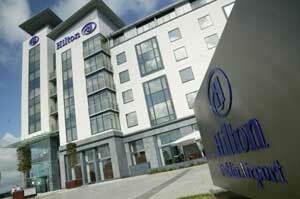 We have 2 hotels to choose from at Aberdeen Airport. You could stay within the airport perimeter at the Thistle hotel and be within walking distance of the the terminal. Alternatively, if you're looking to save more pennies, you could stay at the Britannia hotel at Aberdeen Airport, which is located just 10 minutes away from the airport. Prices from £69.95 per room. If you're looking for a hotel that's just 5 minutes from the terminal, then look no further than the Winford Manor Hotel. Furthermore, the hotel has its own car park on-site, so it's brilliantly convenient. If it's budget you're after then the Holiday Inn at Bristol Airport is excellent value and is only 7 minutes away from the terminal. If you want to immerse yourself in a little luxury, then why not indulge yourself at the Hilton Double Tree at Bristol Airport. 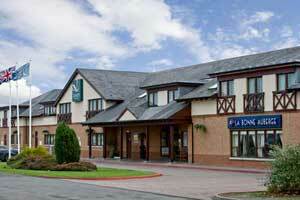 There are 2 hotels to choose between at Cardiff Airport, of which both are within the airport perimeter. Both hotels have a 3-star rating and include a free breakfast in the morning. 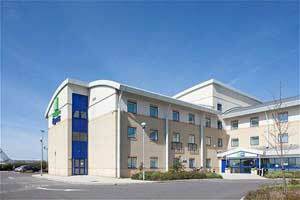 For a more family-friendly vibe, the Holiday Inn at Cardiff Airport has 70 family rooms available. 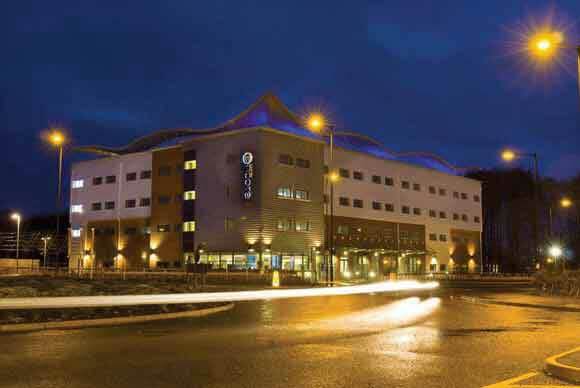 For those with business in mind, the rooms at Sky Plaza at Cardiff Airport include a large workspace, Internet plug-in and a telephone so you can stay connected. Prices from £40.00 per room. 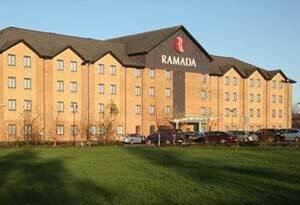 Located just 400 yards from the terminal, we have the Ramada Encore hotel at Doncaster Airport. This 3-star hotel is ideal for business and leisure travelers alike, you can sleep easy knowing that you're within minutes of the check-in. Prices from £126.00 per room. 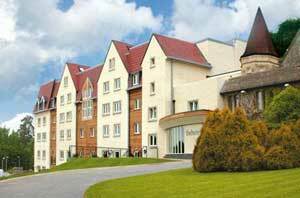 We have a choice of 3 hotels located off-site, either budget or luxury. The extravagant 4-star Hilton at Dublin Airport is situated just 3 miles away from the terminal and includes free transfers to the airport. If you're looking for something a little more wallet-friendly, the Premier Inn or Bewleys hotel at Dublin Airport could be the ideal stay for you. Take a look and compare these hotels to see which one best suits your needs. Prices from £80.00 per room. There is no shortage of extravagance when it comes to staying at Edinburgh Airport. With a choice of 4-star hotels to choose between, you face the enviable task of picking which one is best suited to you. 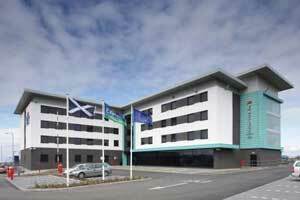 If you are looking for something a little more economical, the Quality Hotel at Edinburgh Airport could be perfect for you. Located just half a mile from the terminal, not only do you get a comfortable night's rest, our customers get 17.5% discount off food and drink in the restaurant. Prices from £49.00 per room. Treat yourself to a 3 or 4-star hotel the night before or after your flight. If proximity is the most important thing for you, the Thistle hotel at East Midlands Airport is a mere 5 minute walk to to the terminal. 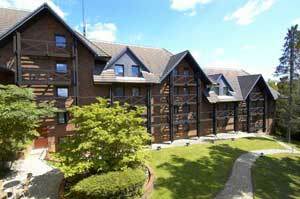 If it's luxury you're after, the Best Western Premier Yew Lodge is a 4-star hotel located in beautiful countryside and is just 2 miles from the terminal. If you are traveling on a budget the Express by Holiday Inn offers a comfortable night stay, with a free hot breakfast to set you up for the flight ahead. Prices from £52.70 per room. Whether you're looking for budget, luxury or something on the terminal doorstep, we have something for you at Glasgow Airport. If you're traveling with family, the Holiday Inn Express at Glasgow Airport is ideal, with spacious, interconnecting rooms and including a free breakfast too. 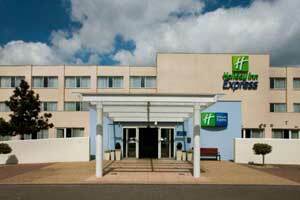 If you want to stay as close to check-in as possible, the Holiday Inn is located directly opposite the terminal. If you're looking for a price that won't break too much into the holiday fund, the Travelodge at Glasgow Airport could be your perfect match. 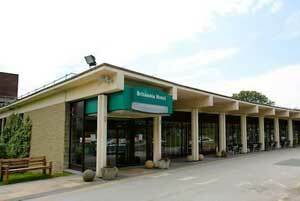 You have a choice of 3 hotels to choose between at Leeds Bradford Airport. All are located in tranquil settings no longer than 4 miles away from the terminal, so you can enjoy a peaceful rest away from the bustle of the airport. You could indulge yourself in a log cabin located in woodland grounds at Chevin Country Park, relax in the village setting of the Britannia hotel or enjoy the wildflower meadows in a stately old building at the Mercure Leeds Parkway. Prices from £209.00 per room. If you are traveling as a family, the Novotel hotel at London City Airport is perfect for you and your offspring. Children stay and eat breakfast for free, they also receive a personalized gift upon arrival. 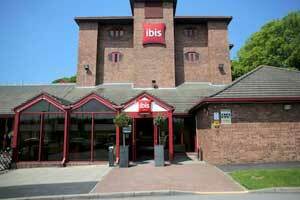 For the more budget-conscious the Ibis hotel, located just over 2 miles away from the terminal, is great for a no-frills, comfortable night's rest. Prices from £52.00 per room. 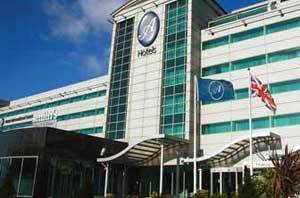 At Liverpool Airport we have 5 hotels for you to choose from. There are 3 within the airport perimeter including the Hampton by Hilton which is brilliantly convenient as it's under 100 meters from the terminal, has parking outside the reception and includes a free hot breakfast. 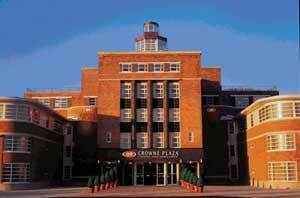 If it's luxury you're looking for, the Crowne Plaza at Liverpool Airport could be the place for you. Located just 1 mile away from the terminal, you can enjoy the huge fitness rooms, swimming pool and spa to help you revitalize before your flight. 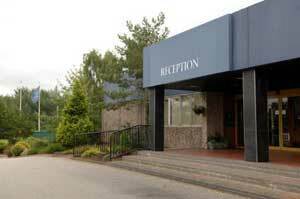 BCP offer two airport hotels at Teeside airport, The Teesside St. George Hotel and the Teesside Spa Hotel. Both hotels offer superb facilities and a comfortable stay before your flight. Book today with BCP and save time and money! Whether budget, luxury or proximity is at the top of your hotel priority list, you will find something to suit at Newcastle airport. 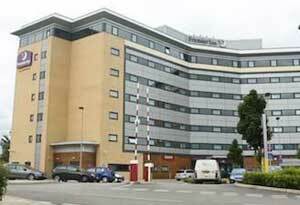 We have 3 hotels on-site, including the Britannia Hotel which is conveniently located just 300 yards from the terminal. If you are traveling with family, the Holiday Inn at Newcastle Airport is geared up for you and your little ones; with a box of games at reception to keep them entertained and children under 12 eat for free at the restaurant. Compare the different options to see which hotel is best for you. 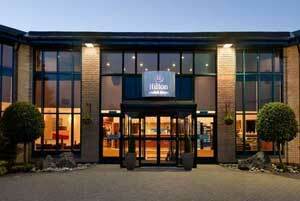 Flying from Norwich airport and need an airport hotel? Look no further than BCP, we recommend the Norwich airport Holiday Inn Hotel with its 4 star facilities, luxurious rooms and close proximity to the airport. 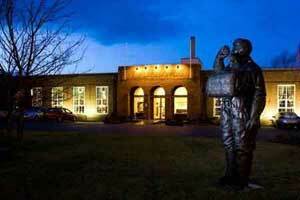 We have 1 hotel at Prestwick Airport, located just under 2 miles away from the terminal. The 3-star Manor Park hotel is a 19th century manor house positioned in the Scottish countryside. Get a comfortable night's rest knowing that you're just a few minutes from check-in. Taking a trip from Southampton Airport? 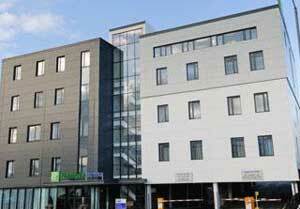 We recommend you take a look at the Southampton Holiday Inn hotel. This three star hotel has superb leisure facilities, comfortable rooms and is a 5 minute transfer to the airport.